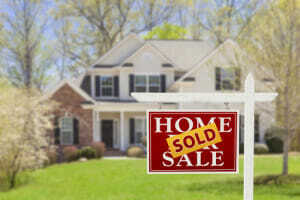 Buying a home is a central part of the American Dream. This has seemed a little out of reach to many families in recent history with the fallout from the housing bubble. Lenders are more skittish than ever to loan money to those with less than perfect credit. In addition, new government legislation has creditors being very careful to whom they lend money. According to The Wall Street Journal, it is now harder to get a loan than it was after the depression. As such, you need to have an outstanding credit score in order to make sure you are able to obtain the home loan you are looking for. This is possible when you have your credit monitored, equalize your debt-to-income ratio and get letters from creditors. This will put you in the best position to receive the mortgage loan you need to secure your piece of the American Dream. There are plenty of companies out there looking to assist you with monitoring your credit. There are even those offering a free credit score without credit card numbers. This way, you can see what your credit score is now, what is on your credit report and what should not be on there. Once you have removed anything on your credit which does not belong, you can use the monitoring service to make sure nothing you do not approve of shows up on your credit. It is just the kind of protection you need so you can maintain your credit score at the right level. Aside from your credit score, one of the biggest things a home loan lender looks at is your DTI (debt-to-income) ratio. As the name implies, this is the ratio of your outstanding debts as compared to your income. If your debts outweigh your income by a wide margin, the creditors will not feel comfortable with your ability to repay the loan. You can make the DTI look better by paying off a few of your loans. The more you can pay off now, the better your DTI will look and the better your chances are of getting the loan. If at all possible, transfer some of your personal debt to a family member. This way, it will not be on your credit and you can still work on paying it off. If you still need to prove to the mortgage companies you are a good credit risk, you can opt to contact your creditors for letters of credit. They will provide you with a statement announcing your positive history with them. While this is already reported on your credit report, some mortgage companies take this as a sign you are willing to communicate with your creditors. This shows your ability to maintain communication and allows you to appear as if you are serious about your obligation to your creditors. It will leave you in a much better position to get the loan you want. Well done with this. It is important that people (myself included) know how to rebuild their credit score if they need to. I love the idea of getting letters from your creditors, something I never would have considered.